Unexpectedly we have found ourselves in the midst of a transformation. It’s not our transformation, but one that is taking place around us. Many parents we know are undergoing a major transition within their families. It seems that suddenly their children are old enough to leave alone for brief outings or older siblings can be pressed into 'babysitting service' for a spontaneous night out. The hassle of finding constant care for offspring is evaporating. 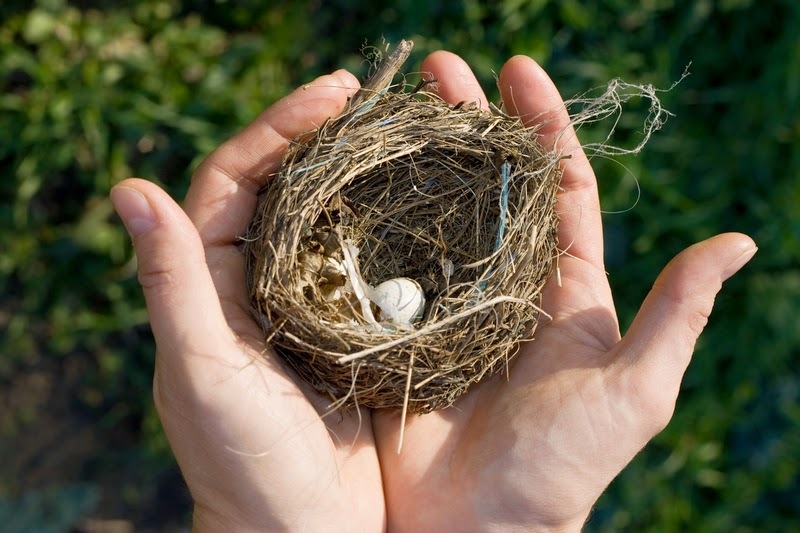 While there are different concerns about leaving teenagers unattended, this is the first step toward the joys and adjustments of an empty nest, when, after years of dedicating time and energy to their children, couples are free to do what they want. They can eat out, travel and generally rearrange their schedules at will. For parents with severely disabled children, it also sounds like fiction. Despite his age, we cannot leave our son Deane alone and I can’t imagine a time when that would be possible. His younger sister, who understands Deane’s needs completely, can look after him for a brief period of TV watching, but cannot lift or reposition him. We also feel strongly that she has her own life to live. It’s not that we are without a social life. Our friends are very accommodating about doing spontaneous dinners and events at our house. They are also more than willing to put their backs into lifting Deane’s wheelchair into inaccessible houses. But now that they are increasingly free to enjoy short-notice activities and meals without kids, we just can’t adapt to that kind of schedule. In the short-term, a full-time nanny or a robust roster of capable babysitters could provide some flexibility. But, with the exception of a couple of families who have had nannies since their children were young, I know few who have managed to make either arrangement work. As children get older, bigger and heavier, many nannies cannot do the lifting, repositioning and other physical care. Babysitters grow up, move on to real jobs and to real lives. I have spent much time working on a solution for our immediate needs. Finding someone reliable usually buys me a few months, but then something comes up and I am forced to start again. The long-term issue is so depressing that I have ignored it—although I recognize that is no longer a responsible option. So, as I listen to our friends and acquaintances talk about their increasingly free lives, I get that isolated feeling I used to get when parents talked about their children learning to walk, talk and pass other milestones. It’s another reminder that no matter how much we try, we live a very different reality. Ijeoma Ross is a freelance writer in Toronto who blogs at Disabled Families. This won't work for everyone, but having students in the therapy fields (SLP, OT, PT) as caregivers might be an arrangement that would be beneficial to both parties. When I was in PT school, there were two older men in town who had PT students over to do their daily therapies--one had had a stroke, and one had a chronic neurological condition. We got experience and they got free care. Children are vulnerable in a different way, but dedicated students would love the experience of working closely with a family. I would have jumped at a chance like this. Contacting your local community and four-year colleges could yield an ongoing relationship with a program or student(s). I feel your pain. I am a single father of a highly special needs 8-year-old boy with Cerebral Palsy living in the Ottawa area. The "Holy Grail" for me is to find a qualified Disability Support Worker who I can hire privately. Precious few DSWs are available with the kind of experience needed for my son's complex care, who actually want the work. I am seeing an increasing sense of "entitlement" in senior DSWs when asked if they would be able to provide home care service. As a private family, I cannot provide staff with vacation time or extended health coverage. However, Home Care offers many benefits that are not available in institutional settings (home care workers have a much greater latitude, because typically it is only them and the client in the house). The reality is that I have to accept workers with a lesser skill set who are excited and willing to do the kind of work needed, and I provide extensive on-the-job training to bring them up to speed. The only problem is typically these workers are on their way to another career, and special needs caregiving is just a stepping stone to get to somewhere else. I mitigate some of the ongoing pain by delegating some training tasks to my most senior workers (who themselves are usually on the move toward another career). If managed well, and if sufficient funding is provided by the government, it is possible to have a vibrant and capable caregiving team leaving me to be free to be involved in my son's care, or to step away and do the background work that must be done to support my son. Other families (such as Donna Thomson's) have been able to achieve this - they can take a winter vacation to a tropical island knowing that their adult special needs son is excellently cared for, and also knowing that they can still spend time with him and rejoin his life when they return. They actually find that a little temporary separation is good for everybody, and lets family members take a break from each other in order to recharge their batteries. I am currently in negotiations with the Ontario Provincial Government to provide additional direct funding support to my family so that I can maintain my private team. In the interim, I am in the midst of a crowdfunding campaign (http://www.youcaring.com/helpKyram) to solicit from the caring public enough resources to allow these negotiations to continue. In her book "Four Walls of My Freedom" Donna Thomson speaks about "trajectory", meaning that a special needs child has the right to experience life in a manner as similar as possible as a well person their age. Trajectory also applies to parents, who have the right to a retirement when they know their special needs child has the best care so they are no longer primarily responsible for their child's well being, but can still play an important role in their lives). It would be a tragedy if a parent of a special needs child were forced to stay as primary caregiver and not be able to have a retirement because no other supports exist. Who cares for the caregiver ? We have signed up for the Lifetime Networks program (Citizen Advocacy Ottawa) in which I hire a volunteer coordinator for my son, who recruits many different kinds of volunteers to help enhance my son's quality of life. It has been a most rewarding experience and I highly recommend this route to any parent. This program works well for older children as well, as volunteers can accompany special needs clients to social events or other outings. I'm encouraged to read the comments above (and hopefully, ones soon coming below, too) that offer specific ideas to remedy this problem of caregiver isolation as our children reach adulthood. That is the boat my husband and I are in -- the author's piece resonates in such a crystal clear way with me. We live in a rural area where resources are scarce at best, but it is this calm and nurturing setting that rejuvenates us, so the idea of moving closer to resources is not one we're likely to entertain. We've shifted our dreams of retirement from travel to puttering around the farm, of dates out with friends to quiet movie dates at home, of hours of solitude to ones shared with a truly delightful daughter. It's been a shift in attitude, which doesn't solve the problem of care for the caregiver, but does relieve a great deal of caregiver stress. Our lives didn't unfold as we expected, but they are very much worth celebrating. So we do! What does concern me is the lifting...always the lifting...as we age. It's easy to say now, in our 50's and healthy, that our daughter will live with us till we die. But will we still be able to lift her hundred pounds when we are 80? The reality is concerning. We also wish for our daughter a network of advocates, caring people to step in to support her emotionally after we are gone, and it's too easy to let that slide on the priority list as we develop a comfortable, ingrown system at home that works. Much to think about. Thanks so much for posting this thought-provoking piece. care, especially for those tender beings like my daughter and Rose-Marie's, who require total support, 24/7. I have mixed feelings about the vacations various organizations provide for a small percent of parents of handicapped kids; obviously they require that the caregiving dilemmas being discussed here are already solved. Icing on a systemically (in the US) problematic cake. I have spent the last 4+ years dealing with the overwhelming issue of what will happen to my developmentally disabled adult son Andy after my wife and I are gone. Let me share a few points that may hopefully be helpful to some of you. On October 11, 2010, our youngest son Alex died. We will never get over that. However, it put into sharp focus the question of who will look after Andy in 40, 50, 60 years. I have never faced a question that complex. So, I contacted and interviewed 25+ people who deal with the real life outcomes of hundreds/thousands of developmentally disabled adults. In particular, I asked about the factors that tended to make things go badly and the factors that tended to lead to good outcomes. Three themes came out of those interviews: preparing for transition, housing, and oversight. With respect to transition, I need to enable those who will come after me to be successful with Andy. That is not a last minute matter. It requires a growing, living profile of Andy’s life that is way beyond the scope of Special Needs Trusts and Conservatorship documentation. Otherwise, the team that comes after my wife and I will inadvertently inflict unnecessary trauma on Andy. In addition to being up to date, this information needs to be readily accessible. Given those requirements, I ended up choosing a cloud-based tool from Vestidd.com. Note: I am not a Vestidd employee, shareowner, etc. However, I do occasionally mention their product in my writing because it is helpful to other parents. With respect to housing, what I learned was that home life is typically the dominant factor in a developmentally disabled adult’s life. Lots of other things can go wrong with day programs, etc. If the home life is pleasant then that is 80% of quality of life. To keep the home life pleasant it needs to be able to adapt and course-correct with changing needs over the decades. I could say much more about this but essentially it comes down to the alignment of interests and how people get measured/rewarded. Thirdly, even with a great transition Vest and a place to live in a nice community, there needs to be a network of caring relatives and close friends who will step-in when needed to advocate for your child. I am working on all of the above now so that Andy’s transitions can hopefully be tested well before they are needed. So, while I may never have a wild, carefree life, I absolutely can see good outcomes for my developmentally disabled son Andy. That means both some peace of mind and some freedom for my wife and me before we exit this life. Of course, I know that the above does not apply to all readers. I am just trying to be helpful and share some of the lessons learned along the way.